The world’s largest online auction site, eBay, will open an office in Russia managed by a former head of Google Russia. 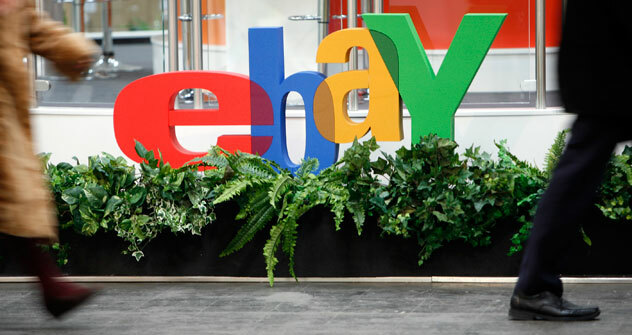 eBay, the world’s largest online auction site, is ready to open an office in Russia. eBay’s Russian operations will be managed by Vladimir Dolgov, who served as head of Google Russia for six years. Commenting on the announcement, Google representative Alla Zabrovskaya said: “Mr. Dolgov was one of the first Google employees in Russia. He had been in charge of the Russian division for over six years: over that time the staff has grown from two to 200 employees, Google launched many services in Russia and became an active player in the Russian online segment.” It is not yet known who will replace Dolgov at Google. Before joining Google, Dolgov managed Ozon, one of the largest online shops in the Russian Internet. During his five years with Ozon, the company opened a large storage facility in Tver, optimized its logistics, started offering new product categories. Before Dolgov joined the team, Ozon had been an online media shop. During his time the shop started offering such product categories as electronics and toys. Dolgov’s appointment to the eBay job signals the growing importance of the Russian market to the company, as well as its determination to develop its business in Russia. Sources at headhunting companies reported that eBay had been considering entering the Russian market for a while, and had been looking for a local office manager for more than a year. In 2010, the company announced the launch of the eBay International Market (eIM) system in Russia, which enabled Russian customers to search for goods all around the world, compare, select and buy them using the Russian interface. The global catalogue of the auction was made available via the ebayrussia.ru website. eBay accepted the responsibility for refunds in cases when goods are not delivered or did not match the seller’s description. But the company’s operation in Russia was hindered by the limits that PayPal, a standard payment system for eBay purchases, established for its Russian customers. Until recently, PayPal only allowed payments for goods, but did not accept transfers to Russian user accounts. This meant that customers could use the service to buy something off eBay, but could not sell anything through the site. Last fall, PayPal enabled withdrawal of money to bank accounts. But there is still a caveat – the money withdrawal function works only for accounts opened with American banks. Maxim Faldin, a co-owner of online store Wikimart, says that the Russian management of eBay will have to make a serious effort to resolve the issue of payments and start communicating with Russian customers. Additionally, the company will have to deal with the issues of delivery and customs clearance. Faldin says that today eBay mainly focuses on selling foreign goods in Russia. He believes that if it wants to form a network of permanent sellers, it will have to think about its own storage facility as well. Dolgov, however, appears up to the task. Under his leadership, both Ozon and Google developed by leaps and bounds, said Mikhail Ukolov, director general of online electronics retailer Utinet. Ukolov adds that Dolgov’s work at eBay will be both interesting and challenging. Russians still prefer paying in cash, and Russian banks are reluctant to issue refunds if goods are returned. This means that eBay will have to find a way to accept payments in cash or remain focused only on a niche segment. This story originally appeared in Vedomosti. The Russian version can be read here.